1939: Soviets Invade Poland. Defensist? Imperialist? When the Stalin-Hitler pact triggered World War II in 1939, and Soviet troops occupied half of Poland and then invaded Finland, the Socialist Workers Party in the United States was plunged into crisis. Consistent with its longtime policy, a majority of the party called for an “unconditional defense of the Soviet Union” and declared its support of the Red Army in any war with the forces of any capitalist regime. But a big SWP minority faction broke with Trotskyist tradition and denounced the Soviet action as a reprehensible “imperialist” invasion. The dispute, which became increasingly bitter, quickly split the SWP. In the months—and years—that followed, the dispute escalated to raise basic questions of Marxism and of Trotskyism. The ideological battle of those 75 years ago may be ignored and forgotten here in America. But not in Britain where a small socialist group, the Alliance for Workers Liberty (AWL), has resurrected it in three massive volumes under the overall title The Fate of the Russian Revolution, ably introduced by Sean Matgamna, the series editor. The first volume, which I have not seen, has already appeared in over 600 pages. The concluding, third volume is still to come. In total, it constitutes some 2,500 pages with detailed indexes and cartoons from the Trotskyist press of the time. The AWL, which sponsors this collection, was a more-or-less “orthodox” Trotskyist group in Britain until it was troubled by the Soviet invasion of Afghanistan in 1980, as we were in 1939-1940 by the invasion of Poland and Finland. To me, having lived through that debate, it is nostalgia. But to the Alliance, it’s a living, breathing thing with deep lessons for socialists today. The editor’s sympathies are implicit in the time he spent to study and compile this mammoth collection of competing declarations and are explicit in his introductory essay. In 1939, he would have been a heterodox partisan. I found this book stimulating and fascinating, but I admit to a bias. At the time, back in 1939, I was a 24-year-old recent recruit to the Trotskyist cause, an outspoken heterodox in the SWP, and later a Workers Party zealot. Reading it now stirs stagnant blood. Still, any thoughtful socialist—including those who were not there—should find it absorbing and provoking. 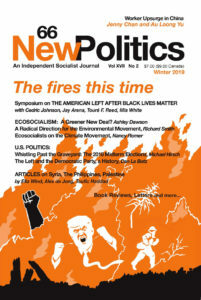 For the Alliance, which revisits this old dispute, it is not intended as an academic revival of a neglected and forgotten episode in socialist history, but as an important guide to understanding current events, a compass to orient a modern generation of social radicals. In particular, a study of those competing views, the Alliance feels, provides “an antidote for the persisting residue of Stalinism” in the labor movement. Readers may feel a certain vague, visceral agreement with that objective even though it is not clearly posed. What “residue” of Stalinism do they reject? A more pointed explanation would be helpful. Here in the United States, leftists may not be concerned with such a question. In Britain, the Alliance makes a contribution by reviving it. Reading this book has prompted me to rethink the old ideological battle and to remember where I came from. Insofar as Stalinism was an ideological system that denigrated the idea of democracy in the labor movement, yes, a close study of these documents can be an antidote to a residue of Stalinism. But now as I think of it, the chief lesson lies in the broader quintessential role of democracy in society. To socialists here the idea might come across like a commonplace. But it was lost in an era when the Leninist left denigrated bourgeois democracy and preached the superiority of a “socialist” democracy—whatever that might be—which would replace it. For me, looking back, the key contribution of the heterodox Trotskyists was to clear the way back to democracy for revolutionary Marxists. Yet they performed this service not explicitly or robustly but by implication. At the time—the world had just exploded in war—the SWP, with its three thousand members, was the major affiliate of the Fourth International, the organization founded by Leon Trotsky in what ultimately turned out to be a quixotic effort to supplant the official Communist (Third) International. Then exiled in Mexico, Trotsky was more than a mentor to his international and to the SWP. By his writings, his leadership of the Red Army during the civil war, his historic role in the Russian Revolution of 1917, his trenchant analysis—and denunciation—of the Stalinist regime, his unwavering revolutionary will, he dominated the Trotskyist movement intellectually, politically, and even organizationally. Trotsky’s position on the Soviet Union was complex, evolving—and confusing. Under the Stalin regime, he charged, Soviet Russia had been turned into a virtual slave state for workers, one of the most repressive regimes in history. However, unlike in the surrounding capitalist societies, property in the Soviet Union remained nationalized. Despite Stalin, he argued, nationalized property was the still-remaining achievement of the 1917 workers’ revolution and the economic basis for a transition to socialism. As long as property remained nationalized, he insisted, the Soviet Union had to be viewed as a workers’ state. But because of the regime’s repressive, exploitative, anti-worker policies, it was—he said—a degenerated workers’ state. Degenerated, that is, from its purer days of 1917. Because it was an anti-capitalist society, Trotsky was convinced that the Soviet Union was in constant danger of attack by capitalist imperialist powers. That expectation was shared by most radicals of the day: Stalinists, Trotskyists, and moderate socialists. Trotsky’s program called for the “unconditional defense of the Soviet Union,” not “conditioned,” that is, by any demand for internal reform of the regime. In that conception, defense of the Soviet Union against capitalist attack was the defense of its property nationalization. But the outbreak of war shattered unified opinion in the SWP. By agreement with Hitler, Soviet troops marched into Poland, invaded Finland, and later forcibly annexed three Baltic states. Trotsky and a majority of the SWP leadership would not be moved. Convinced that the Soviet invasions were minor episodes in the regime’s defensive maneuvers to protect itself against future inevitable capitalist attack, they persisted in proclaiming the need for unconditional defense. But a substantial minority of the party leadership and membership would not go along. At the time, the dissidents did not challenge the notion of Russia as a degenerated workers’ state. Nor did they reject the legitimacy of calling for defense of the Soviet Union if—if—it actually came under attack. But, they held—with passion—that reality could not be ignored: The Soviet invasion had to be condemned as a repressive, imperialist act. In the intense internal battle that followed, the differences were deepened, intellectualized, and sharpened. The SWP split, and the minority formed the Workers Party. The SWP debate opened on what seemed like a sharp but limited difference. The majority faction was formally led by James Cannon, SWP leader. But it was Trotsky himself who took on its defense; Max Shachtman led the opposition. Their writings, voluminously reprinted in The Two Trotskyisms, still make absorbing reading for me. So they will for the specialist in radical history. Non-academic radicals will find much of this intriguing, but some of it is hard going. Here were a few debaters with a few thousand political followers who wrote as though what they said and did could have a noticeable impact on world events. That was an illusion. But for the publishers of these volumes, a study of these ideological exchanges is still illuminating. In a forthright denunciation of the Russian military intervention into Poland and Finland as an imperialist invasion, the heterodox rejected any call for defense of the Soviet Union. The orthodox majority reiterated the traditional Trotskyist defensist line unchanged, but in the context of a brutal war, its explanation took a serpentine twist: Not willing to justify the invasion itself, the orthodox majority “explained” it as an incidental maneuver in the USSR’s preparation for defense against the inevitable capitalist attack; we might deplore it; nevertheless, the entry of Soviet troops gave “a bureaucratic impulse” to social revolution. Here as in any military conflict with a capitalist power, the orthodox insisted, we call for a defense of the Soviet Union. The debate quickly escalated and deepened. After Trotsky was assassinated in August 1940—the heterodox minority had already split away—the SWP endowed Russia’s nationalized property with disembodied, mystical, spiritual powers. The Russian masses’ courageous defense against the Nazis as at Stalingrad, the SWP declared, was inspired by an impassioned dedication to their nationalized property. The myth of that enduring love was punctured decades later when property was denationalized. At its moment of crisis, no one rose in its defense, not the working class, no one; it expired unwept, unhonored, unsung. East European states taken over by Russian troops were baptized by the SWP as “deformed” workers’ states, a brand new category. (Never having “degenerated” from any pristine state, they were born as monsters.) A workers’ state imposed by military conquerors! With that creation, the Marxist conception of the self-liberation of the working class evaporated. Freed from orthodoxy, the Workers Party went on to reject the fundamental premise of the majority’s—and Trotsky’s—position that the persistence of its nationalized property meant the continuation of Russia as a workers’ state, albeit “degenerated.” From the very beginning of the dispute, a rare few were troubled by that idea: James Burnham (who resigned from the WP immediately after its formation) and Joseph Carter (who remained as one of its leaders). But it was Max Shachtman who created the ideological basis for a fundamentally new approach, one that freed the movement from even the last taint of Stalinism; his principal writings on the subject are published in this volume. Shachtman begins with a description of Russian society that was shared by every Trotskyist tendency, a view he presented graphically in his debate with Earl Browder (full text reprinted in this volume). Russia, he argued, was an oppressive, exploiting society in which the working class was reduced to virtual slavery to the advantage of the ruling bureaucracy. In this, he was in complete agreement with Trotsky who considered the Stalin regime one of the most oppressive in history. All that was 75 years ago. Not only the Stalin regime, but also its nationalized property are now historical dust. Who except some ossified Stalinist can look back at the tyrannical Russia of those days as any species of workers’ state? How could Trotsky, so brilliant, have clung so long to his theory of a workers’ state (and, with his powerful persuasiveness, convinced so many of us to go along)? The answer, I think, lies in his tragic personal history. When Trotsky was defeated in Russia and then exiled, it was the culmination of a tense factional battle within the ruling Communist Party of the Soviet Union. Strong forces had been on his side. At first, even though expelled from the party, he hoped to see the regime changed by “reform,” which could only mean a peaceful oppositional victory from within the party, more or less in accordance with its established rules. With the victory of Hitler and the collapse of the Third International’s Communist Party in Germany, he abandoned hopes of reform and saw the necessity of “political revolution,” which meant a forcible overthrow of the Stalinist regime while keeping the basic economic structure of the nation, the nationalization of property, intact. Reform? Revolution? These thoughts were not the armchair speculations of a detached intellectual observer simply commenting on events, but a call for action by an engaged revolutionary. Some fifteen years before, he was still a power in Russia. Reform or revolution are not automatic processes; they require human intervention. Trotsky must have been convinced that there were still substantial forces in and around the party who would rally to a defense of the social property, and he must have envisaged a role for himself in these coming events. I believe that for him the workers’ state theory kept him connected, not isolated, from those who, he imagined, could make that reform or revolution. Not a supporter of the regime, but a kind of patriot of the workers’ state! When the regime crumbled, and no mass movement came to the defense of nationalized property, the social force he anticipated turned out to be a mirage. But at the time, the thought and the hope were not irrational. Trotsky could conceive of an anti-working-class but degenerated workers’ state because property nationalized by the revolution remained nationalized. But Shachtman and his heterodox followers took off in a new direction. Workers cannot own productive property directly, Shachtman argued, but only collectively through the state. When Russian workers are deprived of state power, they are deprived of economic power. Whoever “owns” the state, owns the property. An exploitative, anti-working-class bureaucracy, ruling a dictatorial state, owns the nationalized property. How then do we know if a state, owning property, is actually a workers’ state? The basic test, Shachtman posited, is how the social product is distributed. By that standard, the Soviet Union could hardly be categorized as a workers’ state because the working class had been reduced to a state of near slavery while a ruling bureaucracy lived in privilege. By that test, he concluded, Russia is a bureaucratic collectivist society in which a bureaucracy is the ruling class. But while Shachtman’s test was clear enough to tell us that a given state—here the Soviet Union—is not a workers’ state, how can it assure us that a state is a genuine workers’ state? His test is adequate to reveal the negative, but not the positive. Until that happy day in the far-off future when each contributes according to her ability and receives according to her needs, society will accept, even require, some measure of inequality; and there are bound to be sharp differences of opinion and conflict over what that degree must be. Workers and professionals, blue collar and white collar, government and private, each has their own standard. Whatever the division, some will declare: Unfair! That kind of conflict is inevitable, even desirable, in any democratic society. How then do we know whether any given government can justifiably be awarded a blue ribbon certifying its quality as a genuine “workers’ state”? What division of the social product equals a workers’ state? Cuba under Castro? Venezuela under Chavez? China under the Communist Party? Brazil under Lula? The United States under a revived New Deal? Today, we are not required to answer that kind of question—is anyone eager to try?—because, in my opinion, the very concept of “workers’ state” is obsolete. The debates of 1939-1940 shifted the question from “who owns the property?” to “who owns the state?” Not the form of property but the dominance of the state becomes the key. Here we are in the realm, not of economics and property, but of politics, where democracy is decisive. In the Soviet Union and in China, productive property was a state monopoly. The ruling regimes in both countries have ended that state monopoly, in Russia drastically, in China partially. It would make no sense for a progressive social/political movement to call for a restoration of state ownership in these nations where it has been abolished when the key aspiration, the crucial demand, the great battle is for democracy. Under a democratic state, socialists would advocate that governmental authority be deployed to assure that productive power, state-owned or private, be operated principally in the interests of society. Democracy, not the form of property holding, is decisive. In a country like Cuba, where the regime clings to state ownership, the right to private entrepreneurship, socially controlled, can be a legitimate democratic demand. When workers’ socialist revolution failed to emerge in the war and postwar periods, the ideological foundation of both the WP and SWP, the two disputants, crumbled, and each disintegrated in its own way. The WP (renamed the Independent Socialist League) dissolved formally into the Socialist Party and disappeared, and its former membership splintered. The SW P persisted as an organization, but according to the editor of this volume, the group drifted increasingly toward Stalinism and away from Trotskyist revolutionary Marxism. Albert Goldman and Felix Morrow, two prominent leaders of the old SWP majority, abandoned the orthodox trenches and left the party; some of their supporters shifted to the WP. In time, the old Trotskyist leaders were expelled from the SWP; works written by Jim Cannon were dispatched to a dumpster. The SWP continued to live in body but not in soul—no longer Trotskyist, not orthodox, not heterodox. Of the two Trotskyisms as they existed in 1940, nothing remains. If the world proletariat should actually prove incapable of fulfilling the mission placed upon it by the course of development, nothing else would remain except only to recognize that the socialist program based on the internal contradictions of capitalist society ended as a Utopia. The second imperialist war poses the unsolved task on a higher historical stage. It tests anew not only the stability of the existing regimes, but also the ability of the proletariat to replace them. The results of this test will undoubtedly have a decisive significance for our appraisal of the modern epoch as the epoch of proletarian revolution. If contrary to all the probabilities the October revolution fails during the course of the current war or immediately thereafter to find its continuation in any of the advanced countries; and if, on the contrary, the proletariat is thrown back everywhere and on all fronts—then we shall have to pose the question of revising our conception of the present epoch and its driving forces. In that case, it would be a question not of shaping a copybook label on the USSR or the Stalinist gang but of re-evaluating the world historical perspective for the next decades if not centuries. Have we entered the epoch of social revolution, or on the contrary, the epoch of the declining society of totalitarian bureaucracy? Seventy-five cataclysmic years have roiled by since these alternatives were posed by Trotsky. We have lived long enough to see how it turned out. The victory of socialism proved to be a dream. But barbarism? Both Trotskyisms in 1939-1940 were convinced that the world was on the cusp of decisive events. By the end of the war, both sides warned, it was socialism or barbarism! They didn’t expect barbarism or try to define it. Their warning was really a dramatic means of stressing the urgency of socialism. Nevertheless, in totally unanticipated fashion, today we witness the ominous portents of a kind of barbarism. Vast areas of the planet erupt in murderous religious conflict and senseless civil war and pointless bombing. Millions of people, whole families, wander the earth in search of a place to lie down in safety, desperate for shelter from rain and snow, starving, dying, drowning. “Barbarism,” which once served as an intellectual conception, now reveals the ugly face of reality. On the other hand, however, in the absence of socialist revolution, capitalism and democracy emerged intact in the major Western powers. Fascism in Germany, Italy, and then Spain, and military rule in Japan, crumbled, replaced by democracy. This three-volume series, published by the AWL in more than two thousand provocative pages, brings the old dispute between the two rival Trotskyisms back to life in all its complexity. What stands out for me as I reread this account is the challenge posed by Trotsky himself. That challenge, as I see it, is summarized in those last excerpts from that 1939 essay directed against us heterodox Trotskyists. The test then, as Trotsky posed it, is two-fold: 1. Has the world proletariat proven “incapable of fulfilling the mission placed upon it”? and 2. Has the socialist program ended as a Utopia? Has the proletariat failed to fulfill its mission? In answering that question, we must understand that any “mission” was imposed upon the proletariat not by some impersonal inexorable “course of development,” but intellectually by the ideological precepts of Marxism. If the working class refuses to dedicate itself to the Marxist ambition, it still pursues its own. Workers’ organizations may not have taken revolutionary power, but they have almost everywhere and always been one of the chief social forces in defense of democracy in society. You may impose on your daughter the mission of becoming the president of the United States, but it is no failure if she “only” becomes a good doctor. Has the failure of the proletariat to fulfill its “mission,” 165 years after the Communist Manifesto, finally proved that the socialist program ended as a Utopia? Again, it was Marxism, not the march of history, that linked the fate of socialism with proletarian revolution. The crux of Marxism as a political movement was the conviction that capitalist society had created its own gravedigger, the proletariat, the class that was destined to take political power in its own hands and transform private property into social property. But socialism as a concept and a movement antedates Marxism. There was socialism before Marxism. Prodded by this set of three massive volumes, I am compelled to look back at that emotional 75-year-old debate. If we unburden the proletariat of any special mission, the world appears in a different light. It is not whether the proletariat has “proved incapable,” but that the very concept of “workers’ state” is inadequate to the times. Apart from any proletarian “mission” or calls for a workers’ state, the “contradictions” of modern capitalism remain. The scale of production and its potential are so vast, the needs of society so great, that this awesome social machine can no longer be adequately guided and dominated by the narrow free enterprise motive of private profit. The uncontrolled market is not only economically inadequate but the source of inequality, warped political power, and social injustice from which not only the proletariat but the whole of society suffers. The free-market force of private profit must be replaced, as the dominant force in society, by social usefulness. The goal of democratic social control of ownership is in the common interests of government and private employees, independent workers, artists, professionals, working farmers, students—the 99% mass of humanity. To pinch that goal into the narrow notion of “workers’ state” is to limit the appeal of the socialist message. Not “workers’ state” but “democratic socialist state” to break the hold of capital and install democratic control over the economy. I concede that these reflections seem to have meandered afield from that war-dominated debate of 75 years ago. But for me they are closely linked. Heterodox Trotskyists emphasized the need for democratic control over nationalized property. From there to the explicit goal of democratic control over productive property—national, social, or private—is no giant ideological leap. As I see it now, the lesson is that no form of property guarantees social justice; the key to social justice lies in the control of the state, that is, in the battle of democracy. Such is the inseparable link between socialism and democracy. If that sounds like a mere truism today, it is because this is the one battle won by those heterodox in the community of radical socialism. See for yourself. Read this book. Herman Benson, now geriatrically retired, was a member of the SWP during its controversy (in 1939-1940) over the Soviet’s role in the war. He left as a founding member of the WP and later was associate editor of its Labor Action. In more recent years he was a founder of the Association for Union Democracy and its first executive director.